♦ Volunteers are needed to help out in Share & Wear. If you would like to help, please contact Linda Garcia or contact the OCA Office. ♦ Handy with a camera? We need a volunteer to assist with taking candid photos at community events for display on the community website’s Photo Albums page. If interested, contact Anita Romaine. ♦ The Computer Room needs volunteers. If interested, click here for contact info. What the heck is Pickleball?! Click here to find out. ♦ Click here for a Fire Safety Checklist and to access helpful links for emergency information and updates. ♦ Did you know Oceana has its own TV Channel on Cox Cable channel 1960? See the Hilltop Highlights for the Programming Guide. Click here to see the Hilltop Highlights. ♦ Wow! Have you seen all the activities available for Oceana residents? Click here to see a list. Be sure to click on the activities that interest you. ♦ Did you know you can put your cursor on this ticker to stop the scrolling? ♦ Both Clubhouse Parking Lots will be closed on Monday and Tuesday, April 22 and 23. Click here for more information. ♦ NOTICE TO ALL RESIDENTS – you MUST SUBMIT a new form to be included in the phone directory. NO INFORMATION WILL BE BROUGHT FORWARD FROM THE PRIOR DIRECTORY. Click here for a printable form. Complete the form and return it to the Office. Pay your HOA dues online! Click here to see how. It’s fast, SECURE, and easy! ♦ Know someone who will need help to evacuate in an emergency? Click here to let us know about them. Oceana is very close to the ocean, with a multitude of activities to keep you busy. Our pools are a great place to cool off and get some exercise. Or not! Are you looking for an affordable over-55 community in one of the most desirable climates in the nation? 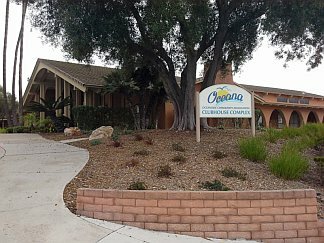 Oceana is an established, active senior community full of friendly people in the City of Oceanside, North San Diego County, California. We’re less than ten minutes away from the Pacific Ocean and its beautiful beaches. We enjoy afternoon ocean breezes, nearby shopping, and a number of tourist attractions. Some of our 932 homes feature spectacular ocean and/or mountain views. We also provide numerous activities for the many varied interests of our residents, ranging from an Art Studio and Ceramics, to Billiards and Line Dancing, to Pickleball and Golf, to a Wood Shop, a Library, a Computer Room, and more. Way too many to list here. CLICK HERE to learn more about the many activities available to Oceana residents. The North County Bus System (BREEZE) stops near our clubhouse and takes you to nearby shopping and other popular areas. BREEZE also links to the Sprinter and Coaster commuter trains, providing easy, economical access to many popular areas in San Diego County, including downtown San Diego, Old Town, and numerous other stops. 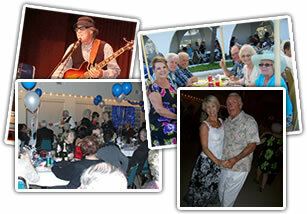 Oceana is not just an over-55 community, it is a destination to enjoy your retirement years. Considering a move to a an active adult community for those over 55? Oceana has quite a bit to offer you. We’ve got a busy calendar. Find out what activities are going on. It’s really hard to be bored here at Oceana! 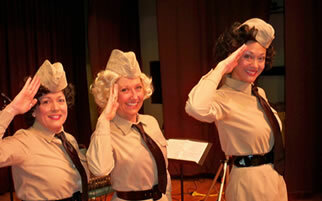 See what makes our community special through pictures of coffee socials, dances, art shows and more. Sign up for email updates from Oceana - Newsletters and the latest happenings.